In her introduction to The Deep: The Extraordinary Creatures of the Abyss, Claire Nouvian says she was inspired to create the book after seeing a film of deep-sea creatures made by the Monterey Bay Aquarium Research Institute: "As crazy as it might seem, I had fallen in love at first sight. Like an adolescent surprised by the power of love . . . " (and so on). But if Nouvian seems overemotional initially, it becomes easier to understand her fervor once you brush aside the intro and skip to the meat: the photos. Most of the book is composed of giant (frequently larger-than-life-size) photographs of deep-sea creatures: the gelatinous Pandea rubra, which bears an uncanny resemblance to a police strobe light; the seed-like larvae of the Spantagoid heart urchin, whose appendages stretch at near-perfect right angles; glass octopi like living x-rays, frilled sharks, furry lobsters. In all, nearly 200 creatures, some of which have never been photographed before, many of which are unknown species, all of which seem unreal, incomprehensible even. Nouvian divides the organisms roughly in half—"Life at the Bottom" is one cluster, "Life in the Water Column" another—and intersperses the photos with short essays written by marine biologists from around the world. These pieces cover everything from the history of deep-sea exploration to the truth about sea monsters to the science behind bioluminescence ("without any doubt the most widely used mode of communication on the planet") and, thankfully, are both excellently written and spare. They provide background without ever detracting from the point—the creatures themselves. Although the deep sea constitutes the single largest habitat on Earth, we understand very little of what exists there. Only 5 percent of the ocean's floor, for instance, has been mapped in any degree of detail. Over the past 25 years, meanwhile, a new creature has been noted nearly every other week. Nevertheless, as Nouvian is quick to point out, that most uncharted of territories is also the least protected. Because we cannot see it, because we're unaware of what is there, she argues, we cannot understand or care about the irreparable damage we are causing. When tropical reefs disappear, it's easy to see the effects our boats, trash and pollution have and to act accordingly. When deep-sea reefs disappear, only a handful of specialized scientists realize what that means. wow that is truly amazing. i have never seen anything so awesome as that. idk wat to say and i dont care but gosh darnit im gonna say somethin! so wat are you doing bob, im typing, bob, i like saying bob....bobobobobobobobobobobobobobobobobobobobobobobobobobobobobobobobobobobobobobobobobobobobobobobobob..... lol this is so much fun! !bye boboboboboboboboboboboboboboboboboboboboboboboboboboboboboboboboboboboboboboboboboboboboboobobobobobobobobob!!! hi bob, this is bob again, did you know that i went to nofrills yesterday and i got some pickles for only 3 dollars, that thats a bargain. one time i went around on my peddle bike and i saw a chicken, so i killed it with my paint ball gun. any way, by bob, have a good day!!! hi bob this is bob responding to ur most interesting comment. only 3 dollars for pickles?!?!?!!?!??!!? IS THAT LEGAL!!! are u sure they were grown without pesticides? anyway about the chicken do u think u could cook it for me and send it in the mail to my house which is really big and has a yellow roof without shingles on it. anyways check on the pickles u just bought if they turn yellow in a few days then the are not grown with pesticides and it really was a bargain. not pickles?!?!?!?! u should sue! grocerey stores should be forced to sell ppl wat they think they are buying or else the entire economy could fall into ruins. if u want to sue go to www.sueu2.com u can sue pretty much anyone for any reason with no questions asked. and wat movie did u go to see? was it shrek or spiderman or something else? btw if u see a cow fly by it is probably mine i lost it while i was illegaly breeding supercows(dont tell anyone) so if u see one send it over in this general direction and hopefully i will find it. If i do i will send u part of it as a gift because i know it taste awesome. also ty for the chicken it was delicious but i think it was an illegal immigrant because i couldnt find a passport. 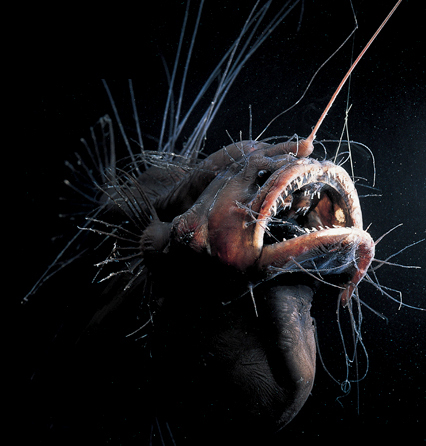 Why is it that most deep-sea creatures are ugly? What are some general facts about sea animals? It is for a 1st grade report and she needs some ideas. Thanks.